The town hall and tourist office Kleinarl is a contemporary meeting place, a prestigious address for the place and its people. 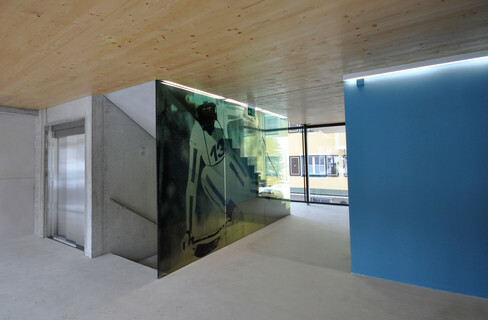 The tourist office is identified by transparent facades and visible open areas; it forms an extended exterior space and thus extends an invitation for communication. 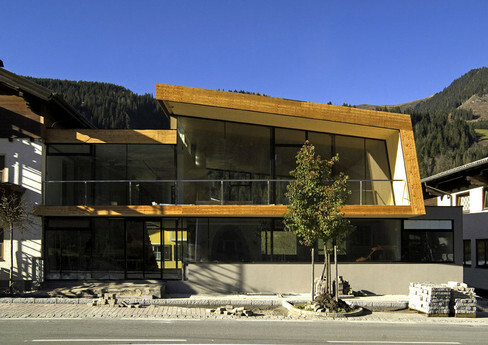 The main facade of the tourism office opens generously towards the village street and allows the use of more space, daylight access and a visible connection to the public. The positioning of the central staircase creates a connection between the municipal office building, and the proposed building, establishing a fractal relationship with the village. 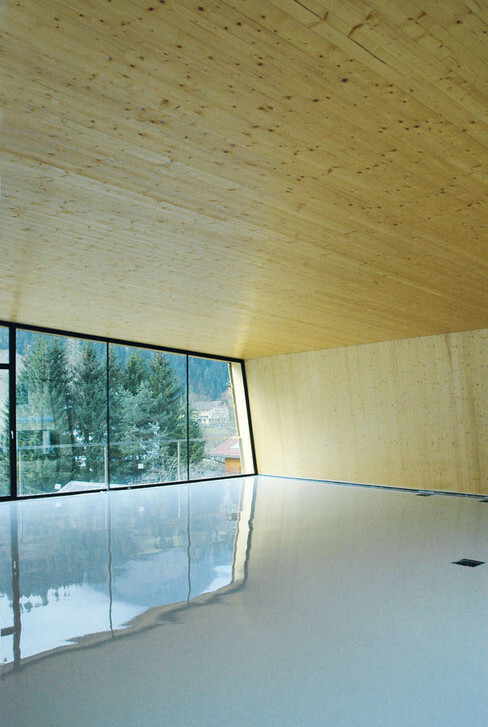 The multi-functional meeting rooms and spatial groups float as autonomous bodies across the wood floor, framed by the form of traditional materials and skills. 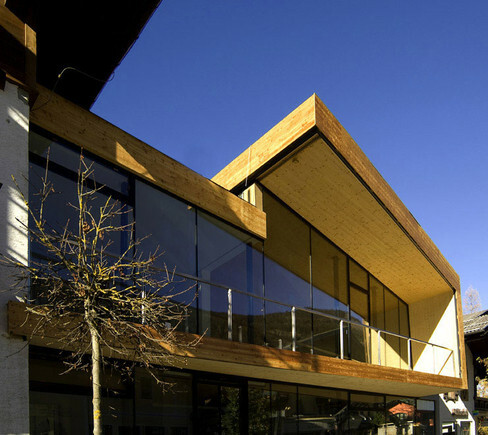 The sloping roof fits recalls the surrounding context, fitting naturally into the neighborhood. 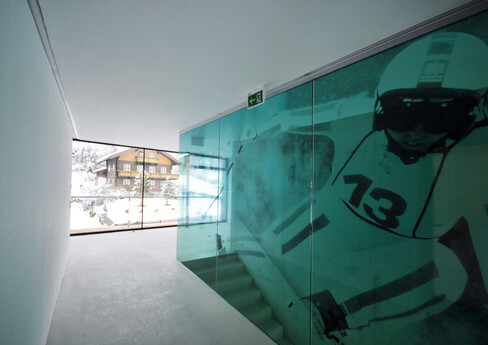 The visual axes of the upper floor relate to the surrounding landscape, creating a type of grandstand arraignment for the observation of the ski areas.